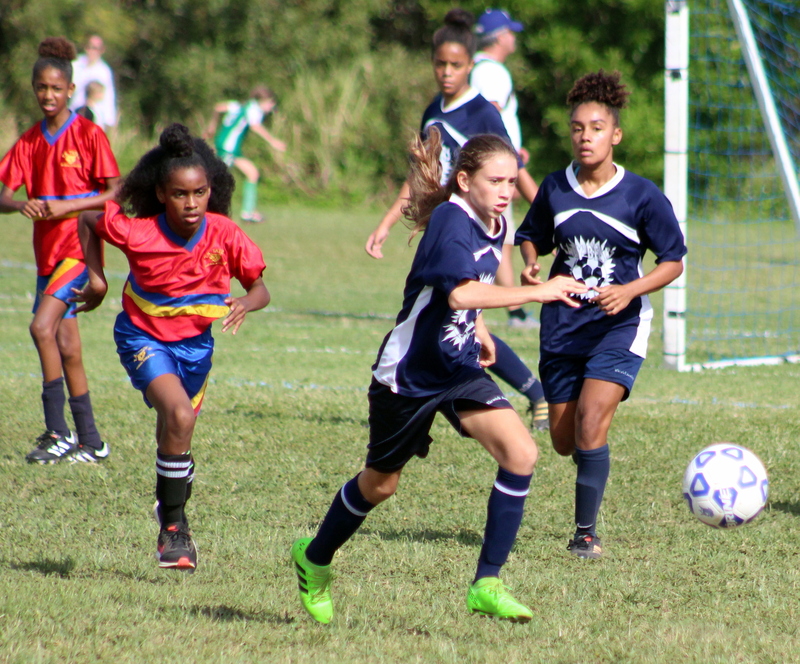 The Bermuda School Sports Federation hosted its annual Six and Seven A Side Girls Football Tournament at Shelly Bay Field with 21 teams competing from Primary, Middle and Senior Schools. Saltus Grammar School finished the day with a perfect 4-0 record to win the Senior School Title. Saltus failed to concede a goal on their way to winning the Round Robin competition. Saltus were confirmed winners after edging past the Berkeley Institute 1-0 in a close encounter. The Berkeley Institute defeated CedarBridge Academy 3-0 to claim second place. Jya Ratteray-Smith led the Berkeley with two goals with Jadae Steede Hill closing out the scoring. The Whitney Institute were crowned Middle School Champions after defeating Saltus Grammar School 1-0 in the Final. A lone strike from Shamiyah Burgess was all Whitney needed to avenge an earlier loss to Saltus in the group stages. Whitney earlier needed a penalty shootout to defeat T.N. Tatem Middle School in the Semi-Final. Shye Blair Paynter had given Whitney the lead late in the first half. Tatem equalized with the last kick of the match when Katherine Bean Rosario scored from the penalty spot. Saltus earned their place in the final with a 1-0 win over Warwick Academy through a Brittany Pacheco goal.